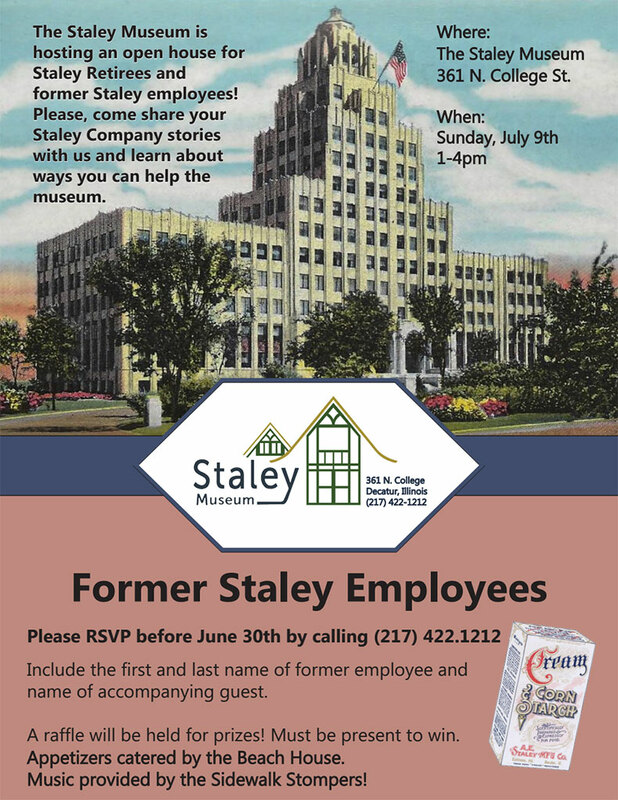 Come one come all Staley retirees & former employees to the museum open house. This day is just for you! Come and mingle, share your stories or bring your Staley memorabilia for show & tell. July 9th from 1-4 p.m. Bring your ideas & suggestions to help grow the Staley Story at the Museum. Include the first and last name of former employee and name of accompanying guest. A raffle will be held for prizes! Must be present to win. Appetizers catered by the Beach House. Music provided by the Sidewalk Stompers!